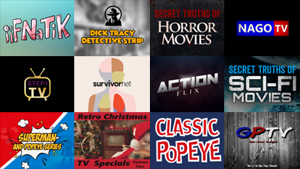 We reviewed another 25 new Roku channels this week, with content in the categories of Educational, Kids & Family, Lifestyle, Movies & TV, Music, Religious, Screensavers, Travel, and Web Video. 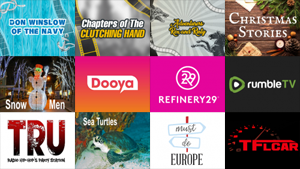 We reviewed 25 new Roku channels so far this week, with content in the categories of Educational, International, Kids & Family, Lifestyle, Movies & TV, Music, Religious, Screensavers, Special Interest, Sports, TV Everywhere, and Web Video. If it's Christmas music you want, Roku has it! 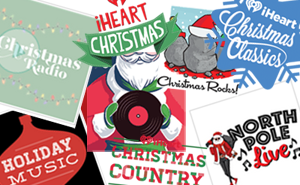 Here are our favorite channels for holiday music for 2018. Cordcutter News Brief - Hulu, AT&T to run ads when viewers hit pause, AT&T to thin out bundle and raise prices to $50-$60, Hulu CEO says most linear cable TV networks will be gone in a decade, and more! In this week's collection of recent cord-cutting news items from around the web: Hulu, AT&T to run ads when viewers hit pause, AT&T to thin out bundle and raise prices to $50-$60, Hopster is now on Sling, Amazon's Prime Video Channels to generate $1.7 billion in 2018, Hulu CEO says most linear cable TV networks will be gone in a decade, and more! 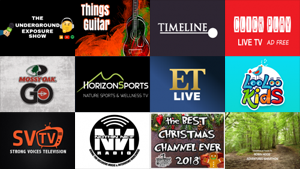 We reviewed another 20 new Roku channels this week, with content in the categories of Educational, International, Kids & Family, Lifestyle, Movies & TV, Music, Special Interest, and Sports. 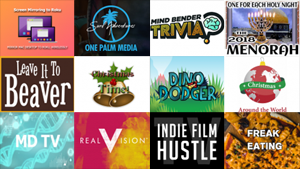 We reviewed 30 new Roku channels so far this week, with content in the categories of Apps, Educational, Food, Games, Kids & Family, Movies & TV, Music, Religious, and Special Interest. 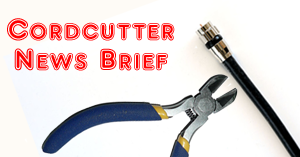 Cordcutter News Brief - Everything coming to Netflix, Amazon Prime, and HBO Now in December; Plex streams Tidal music; Discovery Channel, TLC and more are now on Sling TV; the best free streaming movie services, and more! In this week's collection of recent cord-cutting news items from around the web: Everything coming to Netflix, Amazon Prime, and HBO Now in December; Plex streams Tidal music; AT&T details WarnerMedia streaming services; Discovery Channel, TLC and more are now on Sling TV; Amazon has a new way to record TV shows; the 9 best free streaming movie services, and more! 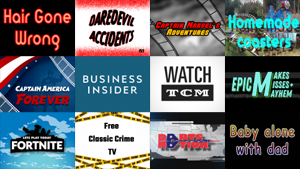 We reviewed another 30 new Roku channels this week, with content in the categories of Educational, Fitness, International, Kids & Family,Movies & TV, Music, News & Weather, Screensavers, Special Interest, Sports, and Travel.